We don’t often stop to think about where chocolate comes from, nor do we think about the farmers that grow and harvest cocoa beans to make the chocolate that we enjoy. The health news on chocolate, especially dark chocolate, is quite positive, and allows some guilt-free pleasure, after all! 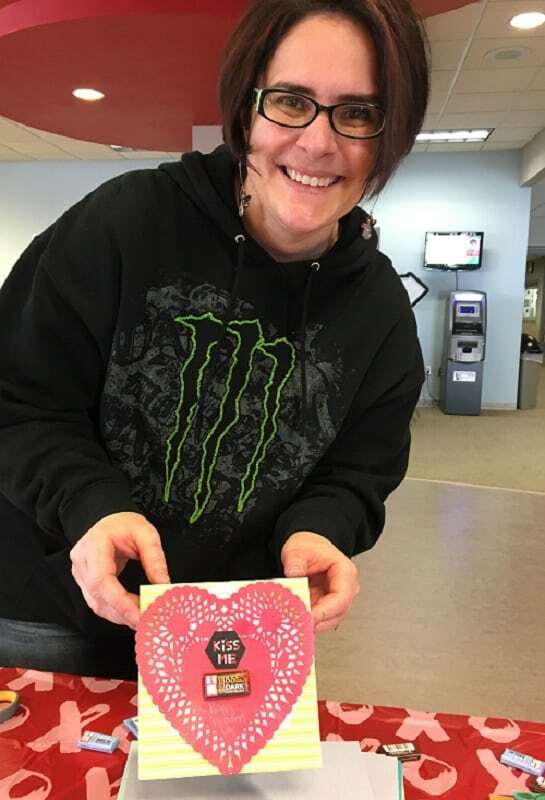 But not all chocolate is created equal, and educating students and staff about the differences in cocoa (also called cacao) bean farming was the end goal of the Fair Trade My Valentine event held on February 13th on all Moraine Park Technical College campuses. 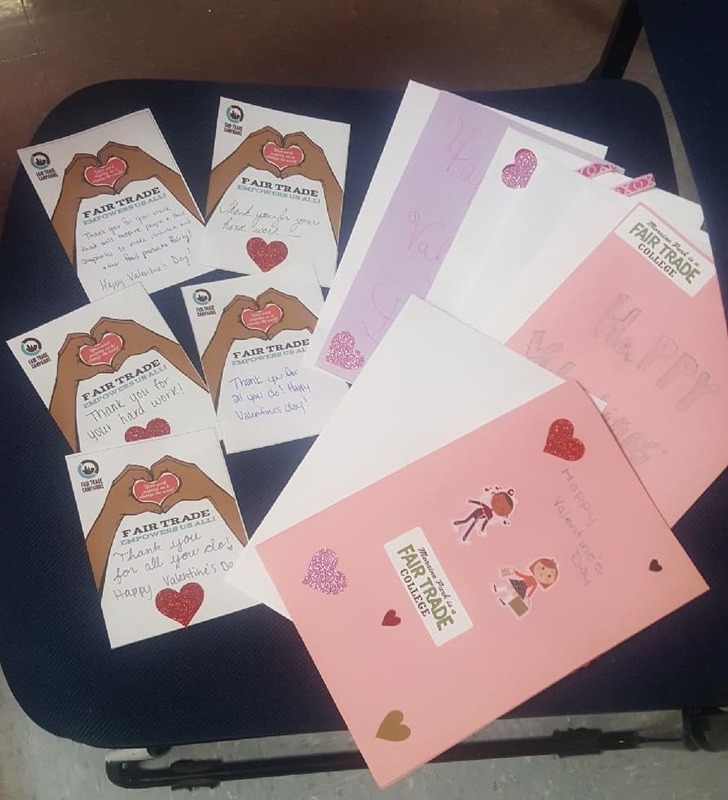 Students and staff were invited to create homemade valentines for their loved ones, as well as to write a short thank you to the Fair Trade cocoa bean farmers. These small thank yous are being collected across the nation, to be sent to the farmers who grow and harvest fairly traded cocoa beans. In addition, Equal Exchange Fair Trade dark and milk chocolate minis were readily available to add to cards and to taste-test. Each campus played an informative 4-minute video about cocoa bean farms and why Fair Trade chocolate matters. If you missed it, you can view it here: Why Fair Trade Chocolate Matters. Why Does Fair Trade Matter? Chocolate is a $16 billion dollar industry and has been dragged through the mud in recent years as some large corporations buy cacao that uses child laborers, leads to the destruction of forests, and leaves farmers in poverty. So how does buying Fair Trade help? In simplest terms, buying fair trade means you support trade that is honest and fair, and that empowers both the farmers and consumers. Fair Trade does not participate in child labor or human trafficking, and ensures safe working conditions and environmentally safe practices. The trade model at Equal Exchange, for example, which has fairly traded coffee, chocolate, tea, bananas, and other fair foods, values each part of the supply chain and works to build a democratic trade system. It is not designed to maximize profits nor returns to investors, but to give equal rights and responsibilities to each part in the supply system. Every co-op (with each co-op having over 100 worker-owners) has an equal state and equal vote in the business. This is much different than most other food supply chains that exist, where the farmer has far less stake in their wages and is often taken advantage of. Did You Know? 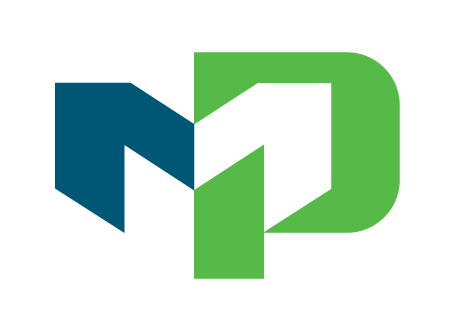 Moraine Park Technical College was the first Fair Trade Technical College in the United States, and became so in May 2015? 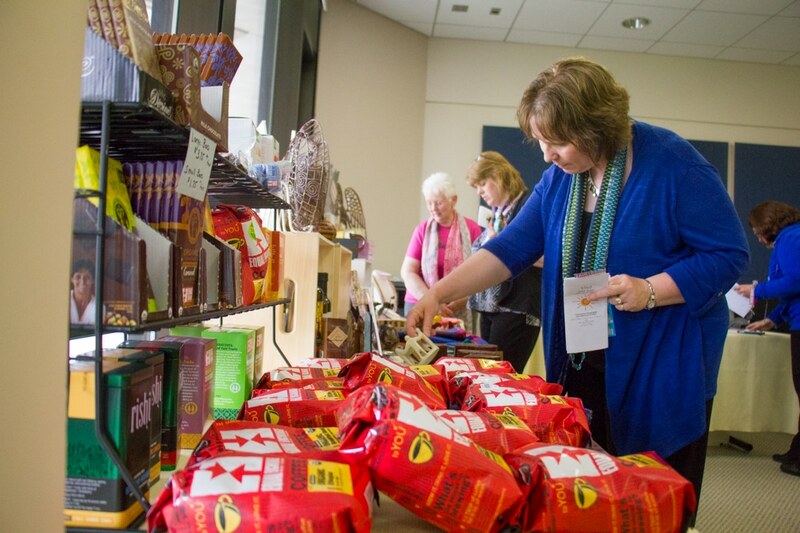 At all three MPTC campuses, our bookstores carry Divine Chocolate and Cards from Africa, Alta Gracia t-shirts, and our three cafeterias offer Fair Trade coffee and Fair Trade tea. 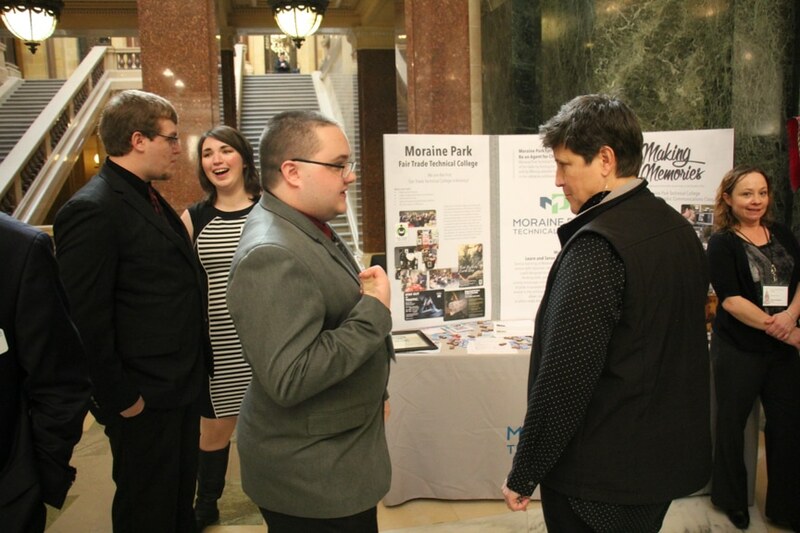 MPTC collaborates with other organizations and supports local schools who are also interested in becoming Fair Trade, such as Fond du Lac STEM school and UW Fond du Lac. You can locally buy Fair Trade clothing, jewelry, food items and unique gifts at Just Fare Market in Fond du Lac on WH, just off of 151 in Peebles. MPTC collaborates with several other area organizations supporting and educating others about Fair Trade such as Fond du Lac Fair Trade Towns, Just Fare Market, and UW Oshkosh Fair Trade College. 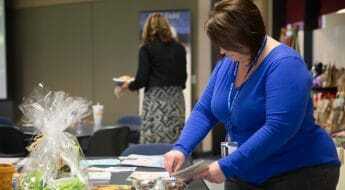 Contact Anne Lemke if you’re interested in joining the Fair Trade team at MPTC at alemke2@morainepark.edu.